How to Make Play Dough | Easy and Fun! How to Make Play Dough - Wanting a fun and easy recipe on how to make Play Dough? I often use this recipe to make play dough with my kids. I really love the texture, the color, and the smell when I finish and it lasts a … [Read more...] about How to Make Play Dough | Easy and Fun! 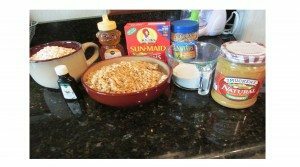 Christmas Crack – Saltines, Heath bar and Yumminess! Christmas Crack Here is a a recipe I wanted to share that you can throw together easily and will be a crowd pleaser. Prep Time: 10 minutes Cook Time: 5 minutes Serves: 16 inch x 11 inch … [Read more...] about Christmas Crack – Saltines, Heath bar and Yumminess!